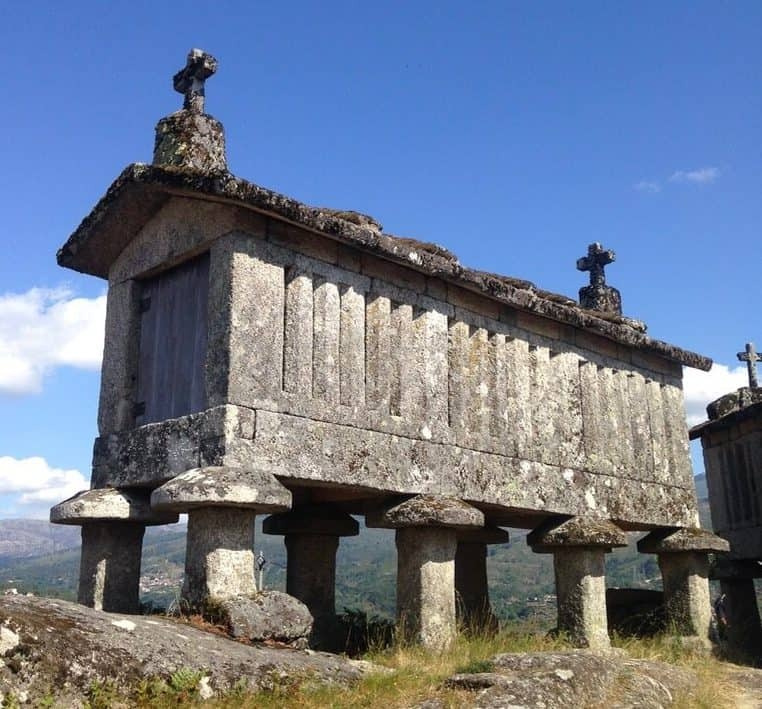 The Soajo village ( Arcos de Valdevez, Portugal ) is a structured settlement made up of granite houses that are characteristic in mountain regions, especially in the north of Portugal but found also elsewhere. The houses are set beside narrow streets, just wide enough for ox-carts to get by, and marked by intense use throughout the centuries. This village is famous for its communitarian threshing-ground constituted by 24 stone granaries standing on granite. The most ancient going back to 1782. The surroundings are of extreme beauty with vast views of the region and the mountains nearby; the geo-system complex of Peneda-Gerês ( PNPG ) and Amarela, making this village a beautiful ecotourism destination.